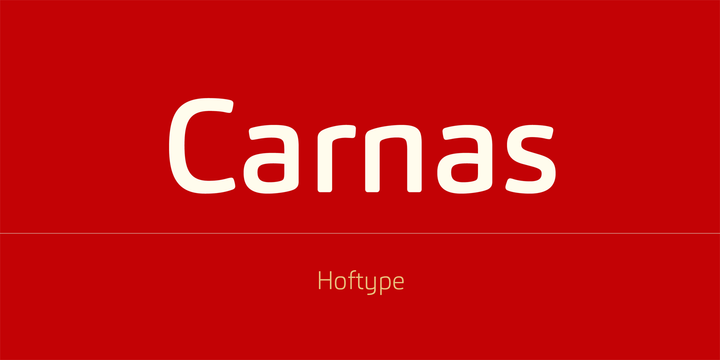 Carnas is a sans serif typeface created by Dieter Hofrichter and published by Hoftype that was designed to be suitable for both shorter and longer text applications. This monoline font comes in 16 styles, a lot of useful OpenType Features and extended language support. It is ideal for typography projects. Have fun! A font description published on Wednesday, April 1st, 2015 in Dieter Hofrichter, Fonts, Hoftype by Alexandra that has 5,894 views.